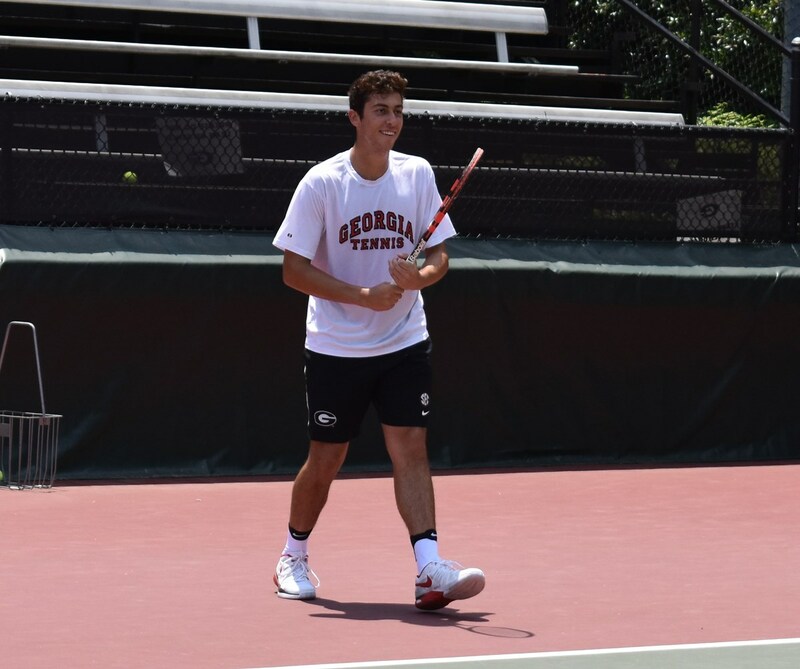 ATLANTA, May 14, 2018 – Looking to equal or even build on the success of Georgia Tech's Chris Eubanks in 2017 at the BB&T Atlanta Open, Emil Reinberg, a junior on the University of Georgia's men's tennis team, has been awarded a main draw singles wildcard into the 2018 event at Atlantic Station in Atlanta. The action takes place as part of the ATP World Tour 250 event, July 21 - 29, 2018, and Reinberg will play the “College Night” match at 7 p.m. on Tuesday, July 24. Reinberg is an Atlanta native and product of Laurel Springs High School. Reinberg is no stranger to the BB&T Atlanta Open as he has attended his hometown tournament many times over the years and played in the doubles main draw in 2017 with friend and former Georgia Gwinnett player, Jordan Cox. The Georgia pair lost a heartbreaking 6-2, 3-6, [10-6] decision to ATP World Tour veterans, Wesley Koolhof and Artem Sitak. 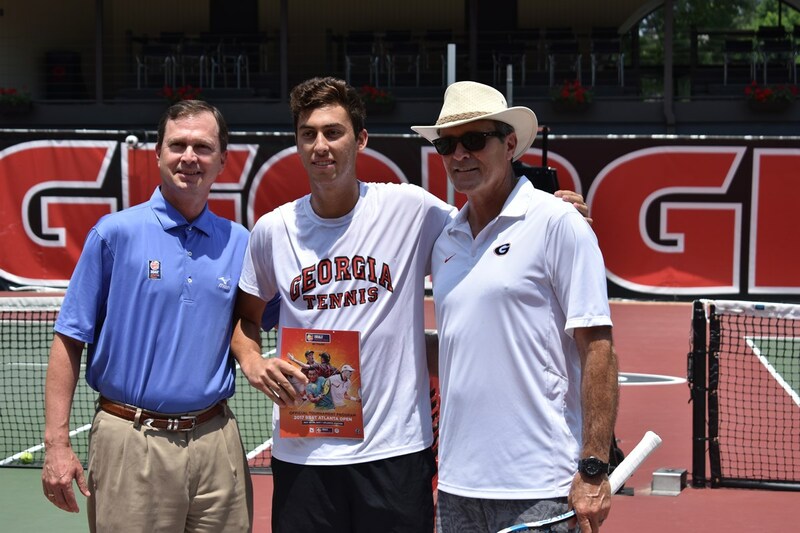 BB&T Atlanta Open Tournament Director Eddie Gonzalez made a trip to Athens and the Dan Magill Tennis Complex to inform Reinberg of the decision. Reinberg has posted winning records in each of his seasons as a Bulldog and led the team in victories as a freshman and sophomore, while being named MVP of the SEC Tournament in 2017. He is an alternate for the 2018 NCAA Championships. Before college, he played in the Wimbledon, French Open and U.S Open juniors. He was a top-50 in the world in the ITF juniors. In the summer of 2017, he reached the singles semifinals of back-to-back International Tennis Federation Circuit events in Tulsa and Wichita, while also making the doubles semifinals in Wichita. Defending BB&T Atlanta Open champion, John Isner, and American, Jack Sock, lead a strong field, for the annual ATP World Tour tennis event at Atlantic Station. They are joined by the most decorated doubles tandem of all-time, Bob and Mike Bryan, The Bryan Brothers, who are also the defending doubles champions. Once again there will be a special women's match on the opening weekend to kickoff a week of fun; this year it's a U.S. Open finals rematch with Sloane Stephens and Madison Keys coming to Atlanta. “Our 2018 BB&T Atlanta Open will be our biggest and best to date by providing a mix of marquee established players along with the rising stars of tennis,” offers Gonzalez. “GF Sports is really proud to present this diverse offering to our tennis fans & sports fans." Ticket packages for the BB&T Atlanta Open, the only ATP World Tour event in Georgia are available online. Who: University of Georgia player, Emil Reinberg, will play a main draw singles match that evening.